With confetti still raining down on the streets of Cleveland and the 2016 NBA Draft complete, NBA fans and executives quickly shifted their collective attention to the free agent market. This free agent class sits between last year’s LaMarcus Aldridge and DeAndre Jordan sweepstakes and next year, 2017–18, when the new TV deal will explode the salary cap to $108 million. LeBron James, the biggest prize of them all, will likely keep his talents in Cleveland, after delivering on his promise to bring a championship back to Ohio. DeMar DeRozan, for his part, has also refused to meet with competitive bidders beyond Toronto. With these two off the table, most contenders hope to add a solid rotation player who will emerge as the difference-maker through a real title run. Here are the five best free agents of the 2016 class who combine both talent and availability. Andre Drummond is the Jordan of this year’s class; he is a spectacular athlete, who is very much limited offensively. With Drummond, fans can expect highlight-reel blocks, staggering rebound statistics, and devastating dunks, which seem to be a trade-off for atrocious free-throw shooting. Drummond is rarely featured in the offense, and gets his touches off put-backs and flashes right to the front of the rim. He did make his first All-Star team this season, after dropping 16 points and leading the league with 15 rebounds per game. With time, the 22-year-old may add a serviceable post game, which would elevate him to a solid 20-and-10 performer. For now, Drummond is a part of an interesting young mix in Detroit that battled valiantly against Cleveland in the first round. Detroit brass already signaled its intent to present Drummond with a maximum offer sheet this summer. He is a restricted free agent, so the Pistons do have the right to match any outside offer and retain his services. Al Horford is the ultimate Swiss Army knife up front. On the low block, his bag of tricks now includes an assortment of drop step, spin, and up-and-under moves to score the basketball. After forcing the defense to commit to packing the paint, Horford can go triple threat out in space to knock down mid-range jump shots, drive to the hoop, or hit open cutters at the rim. On the defensive end, the 30-year-old is fully capable of guarding all three front-court positions. Last season, he expanded his range out to the three-point arc and hit 88 triples, off 34% shooting from deep. Horford, and his complete game, filled up the stat sheet for 15 points, seven boards, three assists, and one block per contest. For this, Horford was named to his fourth All-Star Game. The Hawks, however, appear to be regressing, after ripping off 60 wins and claiming the top seed in the East in 2015. For 2016, the Hawks won 51 games, and then Cleveland swept them out of the playoffs for the second consecutive year. Jeff Teague has already skipped town for Indiana, apparently to make way for the often erratic Dennis Schroder. For Horford, the window to win is quickly closing. The Boston Celtics are reportedly interested in signing the big man. Mike Conley, at lead guard, is often overlooked in a stacked Western Conference that features Stephen Curry, Russell Westbrook, James Harden, Chris Paul, and Damian Lillard. Conley has never been named to an All-Star team, despite putting up more than 15 points and six assists per game for two years running. As a young player, Conley would split time with Kyle Lowry at point guard in Memphis. The Grizzlies did not officially hand the keys to the offense over to him until the midpoint of his sophomore season, when Lowry was dealt to Houston. With time, the 28-year-old developed into one of the better pass-first point guards in the league; he could control the tempo of games and pick his own spots for timely offense. The Grizzlies, however, were a MASH unit last season and stumbled into the playoffs, only to get swept by the Spurs in the opening round. This humiliation may be the ultimate end of Grit and Grind, with Zach Randolph, Tony Allen, and Marc Gasol all on the wrong side of 30. 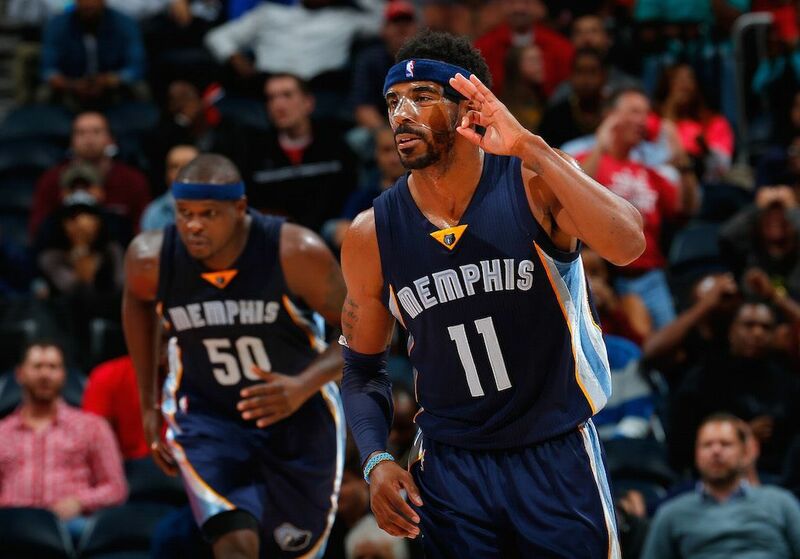 This offseason, Conley may look to abandon a sinking ship for a title contender desperate for a floor general. In terms of upside potential, Hassan Whiteside is the most intriguing prospect out of the 2016 NBA free agent class. He literally came out of nowhere, after playing one year at Marshall and going in the second round of the 2010 NBA Draft to Sacramento. With the Kings, Whiteside sat on the bench behind DeMarcus Cousins before being cut prior to the 2012–13 season. After Sacramento, the now 27-year-old bounced around between the D-League, Lebanon, and China for two years. His most successful stint came with the Sichuan Blue Whales as he dominated the competition for 26 points, 17 rebounds, and five boards per game. Pat Riley and the Miami Heat eventually called, and Whiteside promptly took the league by storm. In 2015, he quickly emerged as one of the game’s most athletic big men, as well as a top rebounder and shot blocker. In limited action, Whiteside put up 12 points per game, while hauling in 10 rebounds and swatting away three shots. Whiteside built upon this effort, upping his averages to 14 and 10 while also leading the league in blocks, with nearly four per game for 2014–15. Hassan Whiteside is still raw and lacks any semblance of a go-to post move and offensive game. For this, Whiteside made $981,348 in salary last season. Certainly, Hassan Whiteside, unrestricted free agent, is due for a big raise next season, in a league that will gladly pay up for potential. The Oklahoma City Thunder were up with a series record of 3-1 in the Western Conference Finals; they had the 73-9 Golden State Warriors right where they wanted them. Then, after losing Game 5 on the road, OKC still had a chance to close out the series at home, leading the game 83-75 heading into the fourth quarter. The Splash Brothers, however, went pop-a-shot, combining for 70 points and 17 threes to come out with a 108-101 win and force a Game 7. After seizing the momentum, a Game 7 win for Golden State was all but inevitable. This epic collapse exposed the same problems that have plagued the Thunder for years. 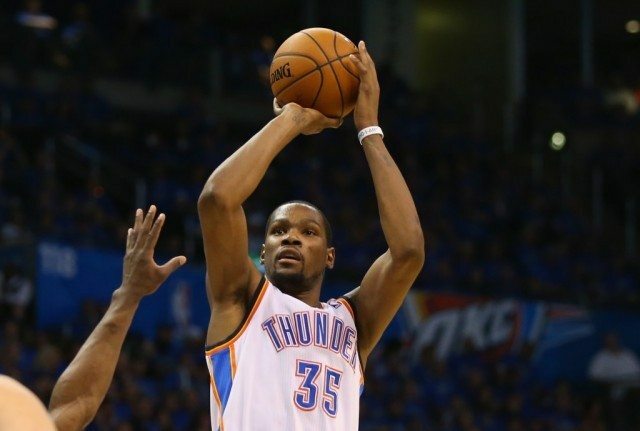 Russell Westbrook and Kevin Durant took turns playing hero ball in the fourth quarter and clanged shots off the rim. If anything, this series opened up yet another round of soul searching as to whether Durant and Westbrook can really coexist. After the heartbreaking loss, GM Sam Presti quickly flipped Serge Ibaka to Orlando for Victor Oladipo, Ersan Ilyasova, and the rights to draft Domantas Sabonis. The move sent a clear message to the rest of the league — the Thunder are ready to win now — unless the Warriors or the Spurs make an offer for KD that he cannot refuse.